This procedure is to diagnose and reset the SRS System. If you have removed your airbag and replaced it and now you have an annoying blinking air bag light, this will tell you how to go about resetting the computer that controls it so that pesky light will operate normally again. Just a hint: If you ever have to remove your airbag to service the column or just replace a worn steering wheel, heres what you need to do to prevent this mess all together. Before you do anything, disconnect the negative battery post and then turn on the headlights. This removes any residual power from the electrical system, and you may now safely remove the airbag. By removing power from the car, the SRS computer will never know that the airbag was disconnected and will not trigger a fault code for it (blinking SRS light). When you're done working and the airbag is reinstalled, turn the headlights off and reconnect the battery, and you won't need to read any further. If you weren't so lucky, and you goofed and powered the car up with the airbag unplugged and now you have the really annoying light, continue down the page. Believe me, this is a lot easier than ripping the dash apart and removing the bulb....it's also not a ghetto rig fix either. It annoys me to no end when some moron creates more problems to cobble-fix another (ie, removing the bulb). Also beware, that in some areas it is also very illegal to knowingly disable a vehicle safety device such as an airbag system. When the SRS light is blinking, the SRS system is INOPERABLE, and WILL NOT DEPLOY in a crash. Removing the bulb 'hides' this problem, and knowingly selling the car this way can cause you some serious legal mess if your ghetto rig maims or kills someone....so just don't do it!! 1) Turn IGN on fully, but do not start the car. 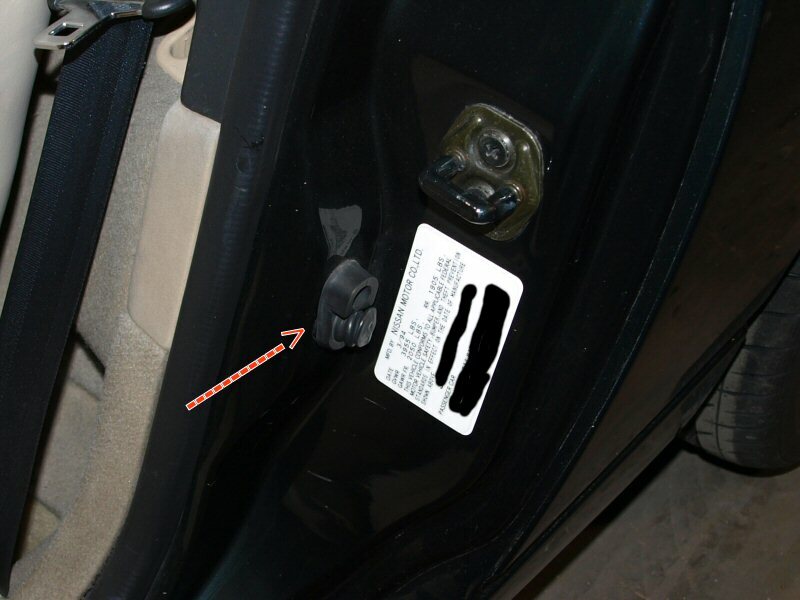 2) Within 7 seconds of doing so, press the door switch in the drivers side door jamb 10 times. 3) Once you've done that, the light should go off if you did it correctly. If it does not, you may have a problem in the SRS system. If you just removed the air bag and reinstalled it, this should take care of it no problem. If it doesn't, try it a few more times until you get it. If your SRS system has a problem, it will start this out of the blue, or if you just repaired collision damage that caused the airbag to deploy, you may need to do the full diagnostics on the system to find out what is wrong with it. 1) Turn IGN to ON position, but do not start the car. 2) Press the door switch in the drivers side jamb 5 times within 7 seconds of the IGN being switched on. After activating mode 1 the AIRBAG light will give one long flash, this indicates the code series is about to begin. there will be a number of short flashes, this is the number of the code causing the error in the SRS system. 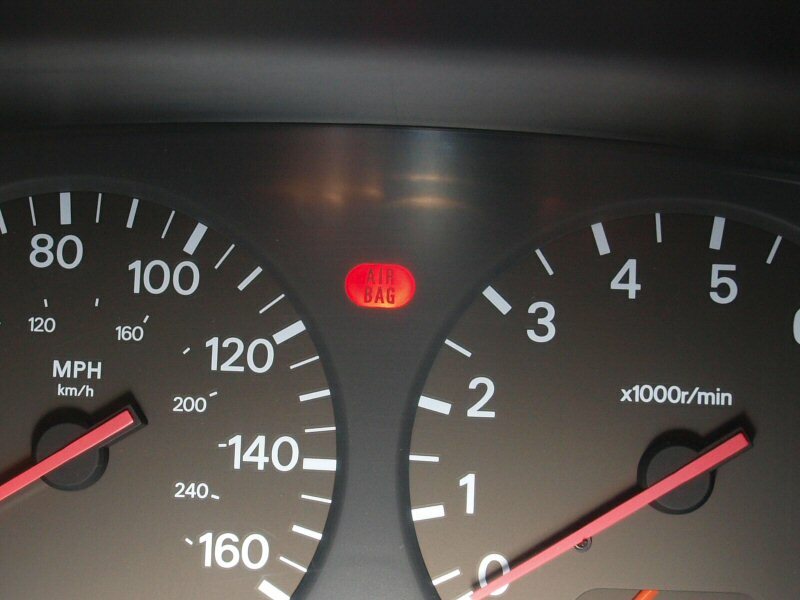 If there is no code/problem, the airbag light will flash on for 2 seconds and off for 3 seconds. 1) Safing Sensor circuit is out of order. 2) Driver's air bag module circuit is out of order. 3) Tunnel sensor circuit is out of order. 4) Right crash zone sensor circuit is out of order. 5) Left crash zone sensor circuit is out of order. 6) Center crash zone sensor circuit is out of order. 7) Diagnosis unit is out of order. 8) Front Passenger air bag module circuit is out of order. 9) More than 2 parts of the SRS system are out of order. 1) Turn IGN to OFF position. 2) Turn IGN to ON position, but do not start the car. 3) Press the door switch in the drivers side jamb 5 times within 7 seconds of the IGN being switched on.